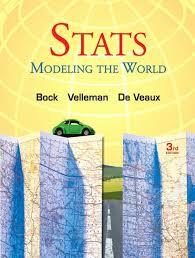 This page contains information about my AP Statistics class. Here you can find a calendar of HW, CW and upcoming assessments/events. In addition, I will at times post documents and/or answer keys from class that can be useful in your studying. Want more information about the AP Exam? Throughout the year we will discuss many elements of the test, but you can CLICK HERE to go directly to the College Board's site and get a lot of information.